After I discovered nutritional powerhouse that is kale, I discovered caldo verde, a Portuguese soup made with sausage, potatoes and, of course, kale. I also started making sautéed kale and constantly adding it in my quinoa salads and pasta dishes. It was glorious. But I didn’t truly appreciate the full versatility of kale until I discovered how to make a fresh kale salad. Since then, this is almost always my go-to kale recipe. It’s so easy to prepare (you just massage chopped kale with lemon juice and sea salt, then let it rest for a couple hours) and always a people-pleaser. Whenever I make it, friends are shocked at how good fresh kale can be–especially when I only add a cheese and grape tomatoes. This time I decided to add queso blanco, which is a creamy, soft, and mild unaged white cheese that is served all over Spain and Latin America. In the past I would add feta cheese or Manchego cheese, but the addition of the queso blanco quickly turned into my favorite. I was lucky enough to find it in one of the grocery stores in my neighborhood, but if you can’t it’s fine to go with another kind of mild cheese as well. The standout here will always be the fresh kale anyway, and it’s hard to ruin that. If you have leftovers of this salad (though I’m not sure how you will), serve it again with some olive oil to freshen it up. And then just enjoy! 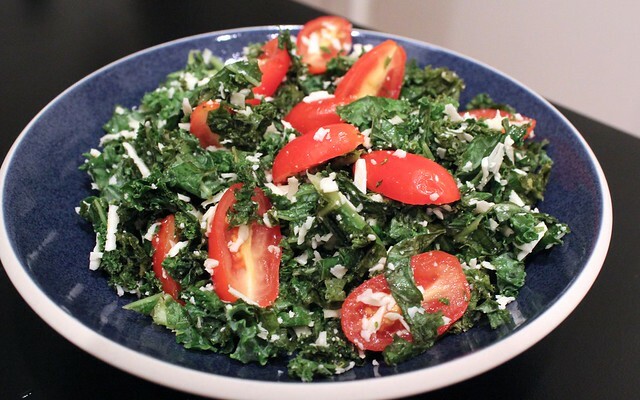 To prepare a fresh kale salad, give yourself two hours before you plan on serving it to give the kale time to soften. Finally, add your favorite toppings and serve. Take your washed kale, fold up 2-4 leaves at a time and slice into ribbons. After all the kale is chopped, put into a large bowl and pour the lemon juice on top. Sprinle with the sea salt and use your hands to massage together for about 5-10 minutes. Place the kale in the refrigerator and let it rest, allowing the kale to absorb the lemon juices and soften, for about 2 hours or overnight. 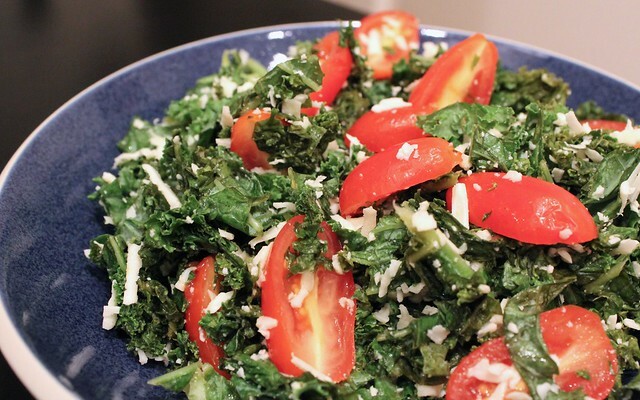 Once the kale is ready, mix in the tomatoes and cheese. Serve. 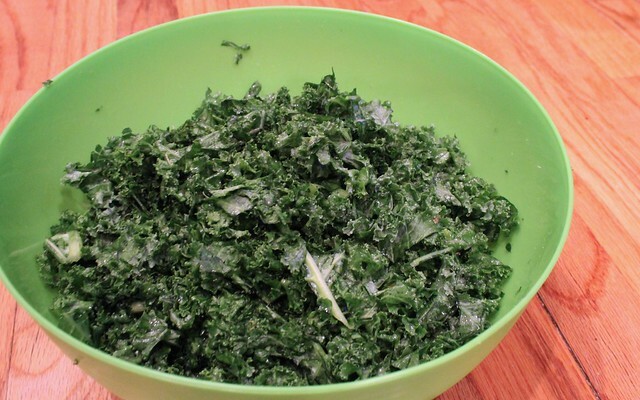 Have you ever made a fresh kale salad? This entry was posted in Gluten-Free, Salads, Vegetarian and tagged fresh kale, grape tomatoes, kale, queso blanco, salad by Irina Gonzalez. Bookmark the permalink.